I have to admit I am a bigger fan of Easter than Christmas. Maybe it is because Christmas is too hectic. There are also too many expectations for the season. Apart from gift-giving, there’s horrible traffic, the parties (those you enjoy and the ones you’re expected to enjoy) and the expectation to be happy. But more than the frenzy of Christmas, I cling to the Easter message of hope. After all, we Christians are an Easter people. Our faith is anchored in hope. Easter Vigil at the Cenacle. Christ is Risen! The past Holy Week, I found myself unprepared. I usually schedule taking a few days off for silent retreat with the Cenacle Sisters. This year, my mind was preoccupied with many other things. Before I knew it, it was Holy Week. On Holy Wednesday, my car battery died at about 8pm. A few people helped me push it. The car started and got me home from the mall. But the next day, it was dead. With most businesses closed for the holidays, I accepted my dead battery’s fate. I used the time to stay home and de-clutter my home while listening to inspiring Jesuit music. 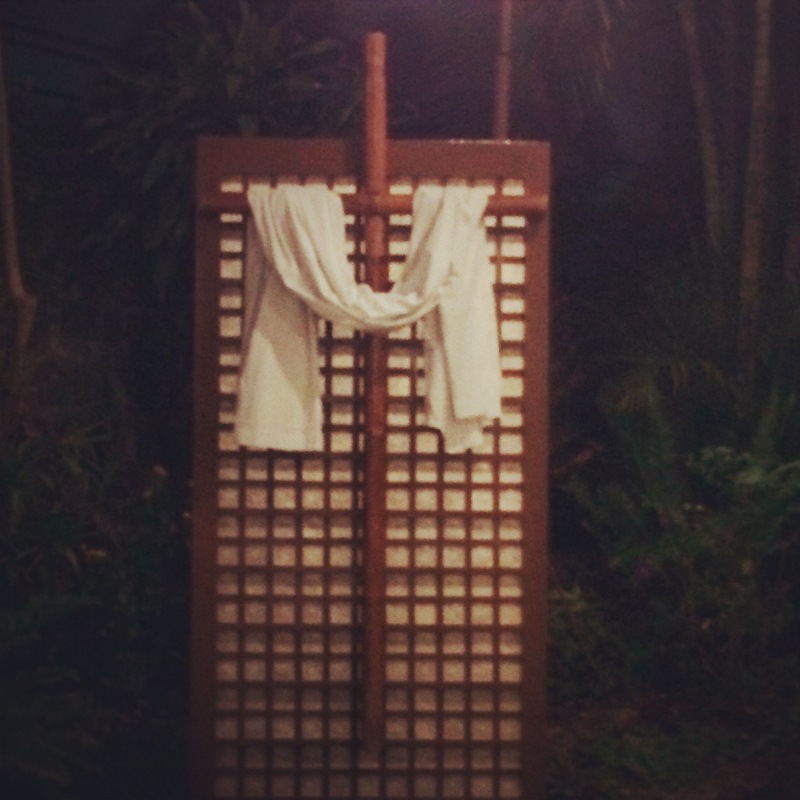 I did the online retreat by Pins of Light, an enriching Holy Week tradition by Fr Johnny Go, SJ. I also attended services at the Cenacle Retreat House. I also finally did a task I had long meant to do. I finally used Spotify for the first time. Yes, I know, welcome to 2016! Even my mom was using Spotify long before I did. One song, I heard before Holy Week was Rise Up by Andrea Day. My friend and gym instructor, Paolo Sason used it for our cool down session on Tuesday’s workout. Little did I know, this song would be the theme song and reflection for this year’s Holy Week. Holy Week is about journeying with Christ, as He journeys with us throughout our lives. We accompany him in his suffering on Holy Thursday and Good Friday. And on Easter Sunday, when Christ is resurrected, we rise up with him. The song reminds me of my relationship with my best friend, Rissa. On her lowest points, I was there for her. She was there when I hit rock bottom. When she was weak, I reminded her she was strong. She did the same for me, and even more. And when we have risen and overcome difficulty, we are there to celebrate with each other. How special is that. I’m sure you have your own relationships like that. But this Easter, the lyrics of Rise Up, were also the very words of Christ for me. His very life is about rising up. He promises we’re not alone in this. He’s with us, rising up for us and with us, over and over again. On Saturday, with one phone call, the car battery was replaced with a service unit. Turning on the ignition, the car instantly worked again. It was resurrected. Sometimes, we really just have to stop and switch off from the life. Then, with our batteries charged, with other people helping us, we have the courage to go on. Everyday, we are called to rise up. And everyday, we are called to help others people to rise up, too. We’re in this together. 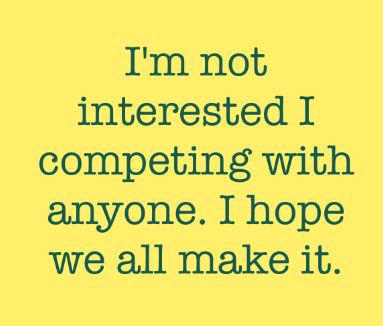 I saw this quote online with an apt message for us all. May this message of Easter ring true for you. And may this song bring you comfort and strength as it has for me.